Blog – Page 2 – GHOST PARTY! Terror in the Night Dome! The floating hill of the Otikiri Domain is the center of this forest village. Do you have a muse? Someone that inspires you to reach new heights? Create beautiful art? Change the world? Well leave them alone! They’re entitled to their own life and dreams and don’t need you stalking around in the bushes gathering material to create your new masterpiece. This week’s movie follows Bougie (“Buggy” like Dougie with a B), a mildly successful local chef who does the occasional TV spot. One day Bougie becomes someone’s muse and from there on out can’t find a moment of peace alone with his ice cream girlfriend. Also did I mention Bougie is a goblin? Eh, it’s not important. From the writers and producers of Funkel’s Friends comes a fresh, meaty take on the spaghetti western… The Meatball Kid! Right past Spaghetti Mountain, not too far from the Bread Basket Territory lies a ghost town. The only people left there are either dead or might as well be. But all that is about to change when a saucy young face with a penchant for stories rolls in to town. The town begins to flourish. The townspeople have a whole new lease on life. But what happens when a bounty shows up for The Meatball Kid’s meatball head? Will the town that loves this hot, meaty man turn him in for some cold, hard cash? And why is this beefy boy so intent on reaching the peak of Spaghetti Mountain? For those who can’t stop talking about A Quiet Place, who can’t stop watching Bird Box, comes a new attack on the senses. Scentless Violence follows a family trying to survive in a world overrun by an invasive alien species known only as “the Noses”. Cover your nose, don’t make a stink, or the Noses won’t be far behind. This week’s poster is 2/3rds nose and 1/3rd the poster from A Quiet Place. Everyone remembers the beloved movie I.Q., starring Walter Matthau as a love-loving Albert Einstein that helps a mechanic, Tim Robbins, find his true match with science student and imaginary niece of Einstein, Meg Ryan. For this week’s episode, we wanted to craft a matchmaking film as lovingly handled and historically accurate as the trailblazer film I.Q. No, Einstein doesn’t come back for a sequel, but who could fill those genius, love-believing shoes? Hitchcock: Matchmaker tells the story of Alfred Hitchcock, who, fed up with his accountant and imaginary nephew belittling his filmmaking, is struck with an idea he can’t shake: that his mean accountant nephew would really be a perfect match for the nice, talented grip on his film set. 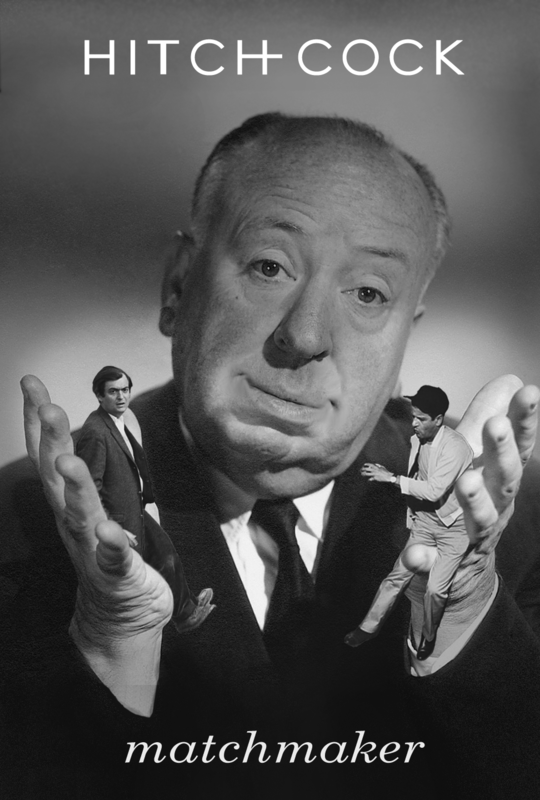 All Hitchcock has to do is what he does best: direct his grip to play the role of an accountant, and let the editor of life splice the ensuing love story together. Merry Holidays! Andrew and Kelsey star in their 2nd most ambitious episode ever, a traditional E.T.’s Birthday/Christmas special with the occasional unexpected visit from a slew of guests. Drop by our Holiday Manor as we sit by the fire with our newest family member, E.T. Please don’t take our presents, they’re all for E.T. Guest starring: Kyle Thurmes, Robert Algeo, Wayne Burfeind, and Adam Quesnell! Wow! So many guests! Are you being followed? By a moon shadow? This week’s film is once again set in the cold, dark vacuum of space. A monster stalks a space station, only attacking in the light of the moon. What could it be? An alien? A moon monster? Or a creature more commonly seen on the surface of the earth… Some sort of science werewolf? You’ll have to check out this week’s episode to find out! Meow meow meow meow meow meow meow meow meow. In an ode to classic Giallo films this movie attempts to ignite the future of the genre. We’re sending it to space in a ship full of cats to awaken a genre-centric witch. Note to listeners that this isn’t the true 69th episode as that one was lost in a particularly deep, dark Mars cave and was too horny for listener’s ears anyways. What’s scarier than a movie poster? A moving poster! We’re going all out for Halloween this year with Total Request DIE. Before there was TRL, there was a music video countdown run by MTV’s brightest VJ stars. On their all-night Halloween special, the tapes are switched with messages from a killer, forcing them to continue the night’s countdown on-air, or people will die. This is the bone-chilling, pulse-pounding story of how Carson Daly got his start, and became history’s greatest monster. With special guest Robert James Algeo! Our guest made this amazingly spooktacular wiggle picture! Check out inabsentiapress.com for more of his incredible work. 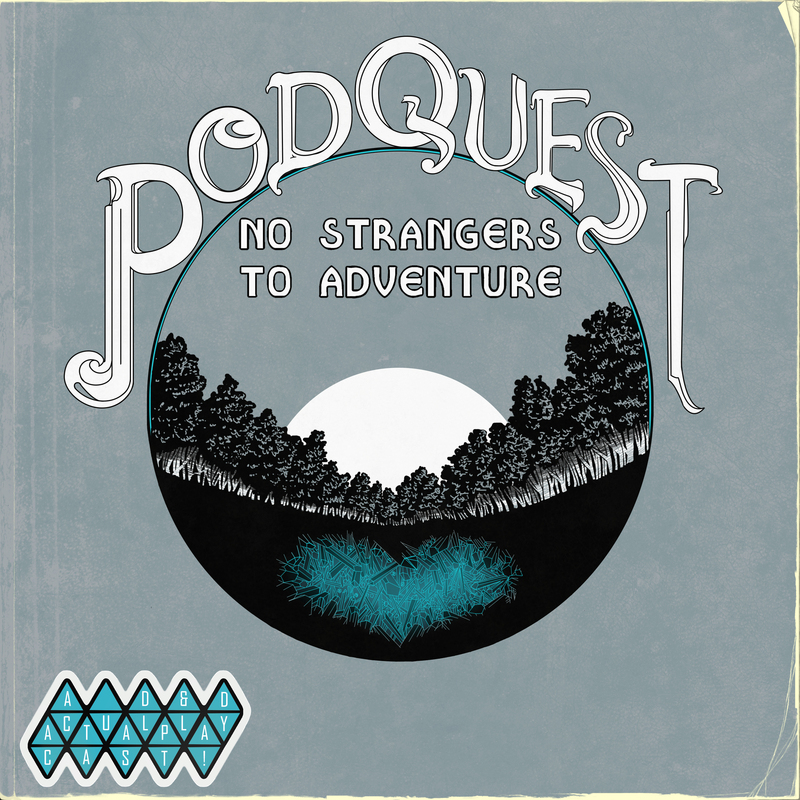 This is the place for some sweet movie posters for Big Money, and supplemental art from Podquest!